In a long twilight, the sound of tiny bells hangs in the air: a young woman’s mother is coming for her from the forest. Elsewhere, by the side of a lake, a family reunion is in progress, merry aunts and cousins hatching from cocoons. And in a tin can provided by charity, a tiny creature made of spit, salt, menstrual blood and a carrot kicks its legs, while the first October snow begins to fall. These are some of the strange, seductive images you’ll find in Karin Tidbeck’s stories. 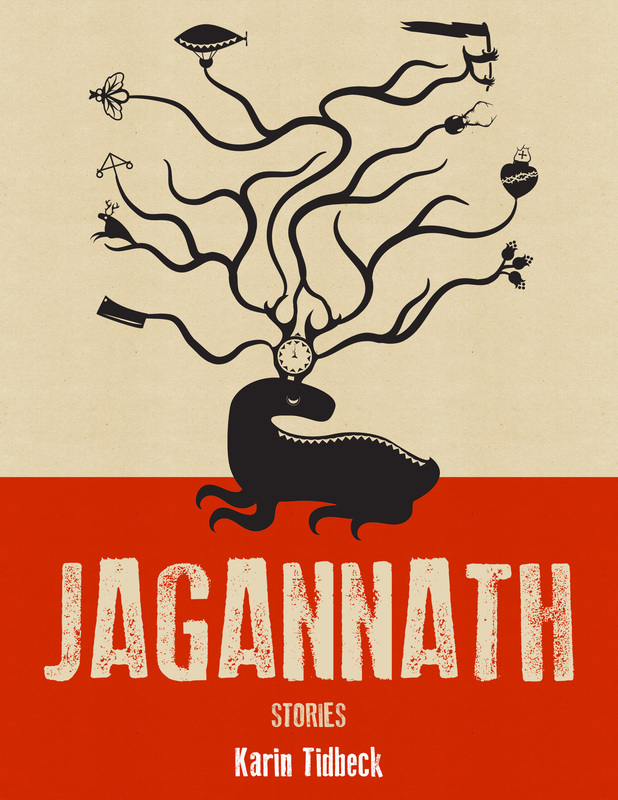 Jagannath: Stories (Cheeky Frawg, 2012) is Tidbeck’s English-language book debut. It brings together works previously published in English, the author’s translations of her own stories—most of them from her Swedish collection, Vem är Arvid Pekon?—and original material. On the strength of Vem är Arvid Pekon?, Tidbeck won a grant from the Swedish Authors’ Fund; her first novel, Amatka, is forthcoming this fall from Sweden’s largest publisher. Jagannath gives English-language readers the chance to enter the shifting territory of Tidbeck’s marvelous multiple worlds. The stories in Jagannath are fascinating, frightening, and above all, tender. There’s an intimacy to them that’s immediately enchanting: several take the form of diaries or letters, or words exchanged with a close friend. “Some Letters for Ove Lindström” is written to the narrator’s dead father. I first read this story in Shimmer Magazine earlier this year: that’s when the name “Karin Tidbeck” stuck in my mind, along with the haunting melancholy of this story of a broken family, lost hope, and magic. “Some Letters” concerns a young woman, Viveka, who returns to the place she grew up, an old schoolhouse where her parents lived with the other members of a commune: the loss of Viveka’s nuclear family (her mother disappeared when she was three; she lost her father to alcoholism and then death) is mingled with the loss of the commune, which was both an extended family and a vision of a utopian future. Loss fills every line of the story, like Viveka’s last memory of her mother: a red dress and the sound of tiny bells. Who was Viveka’s mother? That question both deepens the sadness of the story, and expands it outward toward mystery, toward the forest. The red dress returns in “Reindeer Mountain,” where it becomes the sign of the vittra: tall, handsome, magical people who live inside the mountain, and like to wear red. Two sisters struggle with fear of madness and envy of each other in this story of a family with mixed human-vittra blood. The theme of human contact with other species, subtle in “Some Letters from Ove Lindström” and explicit in “Reindeer Mountain,” runs through the collection. “Pyret,” a sly gem in the form of an encyclopedia entry, details the habits of vittra cattle. A footnote informs us that the most common crime among those accused of witchcraft in medieval times was “illegal mingling”: humans consorting with non-human beings. Many of the stories in Jagannath play with this theme: in “Beatrice,” a woman’s love affair with a steam engine produces a whistle-voiced, coal-chewing child; in both “Miss Nyberg and I” and “Cloudberry Jam,” children are grown like plants. The narrator of “Brita’s Holiday Village” discovers two families at once: while her memories of her relatives begin to emerge in her writing, she dreams the life of a second, insect-like family. And in the collection’s title story, the mother of a family carries her brood inside her. Other themes include transformation, the nature of time, and the judgments of God. The stories “Augusta Prima” and “Aunts” take place in the same world, a fairyland of the actual fairytale type, where games are bloody and casual torture is the order of the day. The stories show two different perspectives on what happens when time enters this timeless realm. These stories—like “Rebecka,” in which torture leads to salvation—explore different types of illegal mingling, mixing transgression with law and cannibalism with comfort. The intimate tone of so many of Tidbeck’s tales invites the reader to blend in as well, to imagine a personal shift into something slightly different. The words of “Some Letters for Ove Lindström” are ostensibly written to a dead man, but when you read them, you’ll know better. Like all of the stories in Jagannath, these letters are for us.